Just imagine a firm, toned body in just 45 minutes – with no intense workouts! Sounds exciting? Look no further – your solution is available here today. The “It Works Body Wrap” is a revolutionary product that delivers real results in less than an hour. Even the best loved bodies can show signs of wear and tear as we get older – but they don’t have to. Our “It Works Defining Gel” works on every inch of your skin to freshen up, tighten and tone, giving you a firmer, more youthful appearance. If you’re noticing cellulite, loose or rough skin and you want to get rid of it, our versatile and convenient Defining Gel solution is the answer. Put the Gel to work anywhere on your body and let it tone and tighten your skin, giving you a smoother, softer surface that you can really feel. 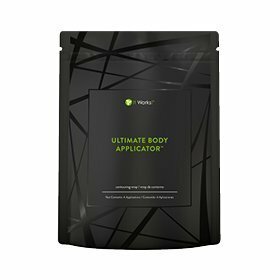 Ideal as a partner or alternative to our popular It Works Body Wrap and can be used with all It Works Products, our formula moisturizes and freshens with a cool, clean eucalyptus scent. Our Gel takes the best natural botanical elements found in our other great products, like our Ultimate Body Applicator, nourishing and hydrating your skin and reducing the appearance of cellulite and abrasions. It’s even a powerful tool to calm and soothe sunburn and insect bites. Wrap your body whilst fastening the Ultimate Body Applicator™ in position with Fab Wrap ! Spongy , breathable , and hypoallergenic , the Fab Wrap assures “that crazy wrap thing” sits smooth to your body for the most effective toning , firming , and tightning results ! Only from It Works Products. You spend time and money making sure your car has all the things it needs to keep it going. We know that without gas, oil, brake and radiator fluid, it would break down. So why don’t you show the same love and attention to yourself? Your body is an amazing machine, performing thousands of operations every day to keep you alive, but to be at its best, it has to be running on the right fuel. Many of the issues that can affect your body’s performance can be traced back to the same cause – too much acid. With high body acidity, the mechanics of your body are unbalanced, and it just can’t do the jobs it needs to do as well as it should. This can drain your energy, inflame joints, and invite weight gain, to name just three of many potential issues. It Works Greens combats high acid gently, effectively, and naturally. Thats why Greens is one of the top It Works Products. 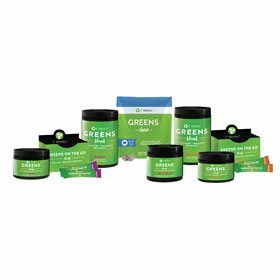 With our unique blend of over fifty herbs and superfoods, crafted in the exact balance ratio of nutrients your body thrives on, It Works Greens helps to keep pH levels healthy, and fight off free radicals that can cause disease. And whilst it’s doing that, a healthy serving of matcha green tea cleanses and detoxifies your system. Acidity goes down – and energy goes up! True beauty comes from within, and if you want your hair, skin and nails to shine with natural radiance, you need to make sure you’re feeding it all the ingredients it needs to glow. A healthy balance of vitamins and minerals, along with other important nutrients, are key in giving you the vital, strong, healthy appearance you’ve been looking for. 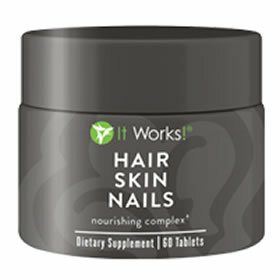 “It Works Hair Skin Nails” supplements your body’s existing supply of collagen and ketarin. All the ingredients you need for healthy hair, skin and nails are already inside you – they just need a boost! Hair Skin Nails provide that by providing the raw materials needed to generate strength and sparkle. Our own powerful blend of bio-extracts; all of which are natural with no nasty chemicals; include exotic French melons, goji berries, grape seeds and Japanese seaweed; infusing your body with vitamin C, vitamin E, B6 and other essential minerals like zinc and selenium. These are the foundations of a happy, healthy, beautiful body. We’ve taken the best ingredients from around the world, and delivered them to you as an easy, two-tablet solution to take every day with food. Start your journey to a better you today! Fantastic news – there is no longer any reason to accept the appearance of wrinkles as you get older. You can fight back! ”It Works WOW” is an instant hit to your skin, working for you from the moment of application. It doesn’t matter what skin type you have, our exclusive formula of soy protein, natural wheat and active peptides – with an extract of chamomile to give it a kick – gets right to work on fine lines and wrinkles, giving you smoother, softer skin and a more youthful, vibrant appearance. WOW tightens, hydrates and revitalizes the skin, giving you back your youthful glow. They say that nobody can hold back the hands of time, but you can make it hard work for time to lay a finger on you with this fantastic product. WOW will fight back against existing wrinkles, and fortify your skin against the appearance of new ones – and it works perfectly in conjunction with our other It Works products. Have you ever read about modern anti-ageing products, and wish you’d found out about them before the ageing process affected you? Do you feel like there’s nothing you can do about the signs of ageing because you already have them? You’ll never be so happy to be wrong. 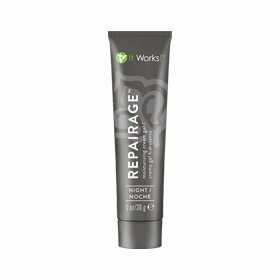 ”It Works RepairAge” is our own high-power blend of lavender oil and herbal extracts containing gotu kola and Aloe Vera, designed to go deep below the surface of your skin and bring out the fresh, youthful beauty that lays within. When you’re healthy, your skin shows it, and RepairAge works to give you a radiant glow, smoothing out and softening lines, wrinkles and blemishes accrued over time. Team RepairAge up with our Lip & Eye and PreventAge products, and you’ll have all the tools you need to undo the damage of the years! There are few occasions in your life as joyous as the birth of a child, and welcoming a newborn into the world. Your life has changed forever – but so has your skin. We’re told that, like scars, stretch marks last forever, but that doesn’t always have to be the case. “It Works Stretch Mark” is our powerful grease free moisturizing cream; designed for application in the morning and again at night to reduce the appearance of imperfections on your skin. It works by hydrating the skin and restoring elasticity, and it’s so safe and natural it can even be used during and immediately after pregnancy. And it’s not only mothers who can benefit – Stretch Mark can also be used to reduce or prevent scars following surgery. Like other It Works Products its Simple to apply – it’s just a case of massaging the cream into your skin until its absorbed, Stretch Mark restores vitality and tone to your skin, leaving it softer and smoother to the touch. Here’s a pro tip:- It’s a great companion product to our Defining Gel! You may have heard about our range of products intended to repair skin damage, and we’re proud of them all. You’ll have seen a thousand adverts for products that aim to deal with the signs of ageing, like fine lines and wrinkles. But “It Works PreventAge” isn’t like any of those products; it does something new. PreventAge works to stop the signs of ageing ever happening in the first place. It may sound impossible, but our top secret exclusive formula – with all the soothing, cooling properties of aloe and chamomile – is designed to shut out solar rays and toxins from the environment around you, leaving the skin protected from the elements that wear it down over time. PreventAge is a gel intended for morning use, moisturizing the skin and leaving you with a smooth-to-the-touch finish. There are no restrictions on using PreventAge; male or females of any skin type are free to reap the benefits. Your face is the part of your body on show to the world more than any other. It’s the first place that anybody – especially you – will begin to notice the signs of ageing. It Works Products like Lip and Eye help. The skin around your lips and eyes is especially sensitive and vulnerable to this – fine lines and wrinkles around the corners of your smile and bags under your eyes can make you appear old before your time. 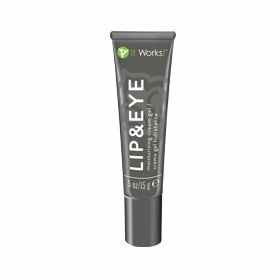 “It Works Lip & Eye” is formulated specifically to target these areas that need special attention. Our Lip & Eye moisturizing cream is a potent blend of natural bio extracts that gets to work firming up your skin, rejuvenating the appearance of imperfections to give you a firmer, younger look. It works perfectly with other It Works products like our Defining Gel to form your perfect anti-ageing solution. Time stops for nobody; but there’s no need to let it wear you down as it goes! When you think of human growth hormone (HGH), you probably think of bodybuilders, or steroid abuse, and assume it’s something you don’t want or need in your own body. You’re wrong. Human growth hormone has existed inside of you since the moment you were born, and it’s made you who you are now! Human growth hormone occurs naturally inside you, and it touches many vital functions of your body. It promotes muscle growth, but it also strengthens bones and helps you maintain a regular sleep pattern, as well as keeping weight gain and cholesterol levels in check. We notice cholesterol level increases and weight gain as we get older, because our body’s production of human growth hormone slows down. “It Works Products New You” counteracts this slow down, rejuvenating the body’s own human growth hormone production naturally and keeping the essential functions it performs running smoothly. New You helps your body stay younger and stronger for longer. Day to day life clings to our skin, and we take regular baths and showers to refresh and revitalize ourselves in order to feel clean and renewed. Our skin appreciates it, but our insides need the same care and attention too. Everyday toxins don’t just build up on the outside; we breath them in and we ingest them with food. Your body is amazing at dealing with the threats that come with them, but to truly feel fresh inside and out, we need to help it finish the job. “It Works Cleanse” is our herbal, two day course that washes out these toxics and replaces them with a fresh supply of vital nutrients. As with all “It Works products” it has been carefully researched formula of soluble fibers, prebiotics and essential vitamins and minerals, Cleanse is just four simple bottles; drink one in the morning and one at night for two consecutive days, and it will gently restore, refresh and renew your body’s natural balance. Cleanse works fantastically well with our Regular and Probiotic products, too! Did you know that inside your body there is naturally occurring bacteria that’s actively working to improve your health and digestion? When we’re told that bad bacteria in dirty kitchens can make us sick, we clean our kitchens. So when we find out that there’s also good bacteria that can make us better, shouldn’t we give it a helping hand? 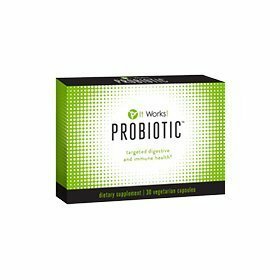 It Works Probiotic boosts these good bacteria in a major way, using both probiotics and prebiotics specifically designed to work with your body and aid the growth of intestinal flora. These flora are vital to ensure your digestive system works the way it should, and our Probiotic product contains five unique probiotic strains, aimed at both the large and small intestine, giving these essential flora the fuel they need to provide you with the best possible digestive health. For maximum impact, combine It Works Probiotic with our Cleanse and Regular products for a powerful, positive change in your body. When you put in the hard work in the gym, your body responds by burning protein and amino acids to build muscle and recover. It’s you and your body working together to make you stronger and healthier. The problem is that you body doesn’t produce all of the amino acids it needs on its own – they come from whatever you put into your body to power and recharge yourself. If you use the wrong fuel, you won’t see the results your work deserves. “It Works Shake” solves the problem. Using natural proteins taken from yellow peas and organic brown sprouted rice, our Shake is vegan and vegetarian friendly, and even suitable for those with soy or dairy sensitivity. 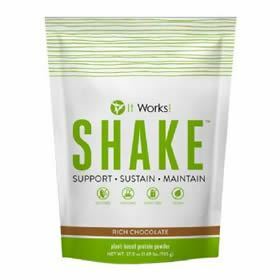 Containing a high concentration of amino acids and a perfectly-tuned mix of branched-chain amino acids alongside them, the Shake gives your body the ingredients it needs to regulate metabolism, strengthen your immune system and boost muscle tone, as well as promoting healthy appearance in hair, skin and nails. 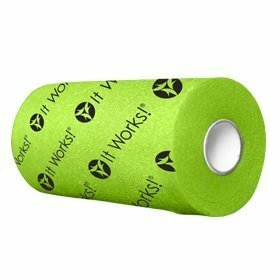 This It Works Product is rocket fuel for your workout! When you think of energy drinks, you’re probably picturing something fizzy, and loaded with sugar of caffeine that’s going to send you soaring, and then crashing back down to earth a few hours later feeling worse than you did to begin with. It doesn’t have to be this way. “It Works Energy” is the opposite of that dirty, sugar-hit solution. This It Works prouct is high in vitamins and minerals, we’ve blended our energy drink full of natural fruit juice, high-impact B vitamins and green tea extract; products taken from nature and refined to give you all of the boost without the comedown. It’s those refined sugars in conventional energy drinks that give you the highs and lows; by using fruit-based sugars and phytonutrients, It Works Energy stays low on the glycemic index and focuses on giving the body what it really wants and needs. It’s our own special formula, designed to keep you sharp throughout the day without impacting your health. Feel like you’re fighting round after round with your weight, no matter which diet or exercise routine you use? The constant battle can be exhausting, especially when your opponent keeps making a comeback. That’s why you should tag in a little help from nature, and we’ve found your perfect partner- hidden inside a prickly pear cactus! Using NeOpuntia; a natural, unique fiber extract from the cactus – alongside our exclusive ingredients – Fat Fighter binds fats and carbohydrates together in your stomach before they can be absorbed into fat.As an It Works product Simply take Fat Fighter within an hour of eating and not only will it prevent fat absorption, but it balances your blood glucose levels and battles back against food cravings. 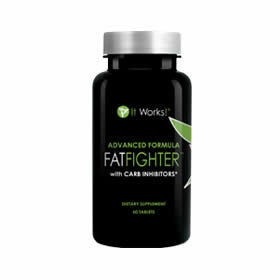 As part of the healthy lifestyle that we at It Works actively encourage, Fat Fighter can help you strike the decisive blow in your battle against unwanted weight. A low metabolism could be a major factor in both gaining weight, and struggling to get rid of it. Some people are born lucky, and have a naturally fast metabolism that burns through calories automatically. The rest of us aren’t so lucky, and have to work twice as hard to win the battle – until now. 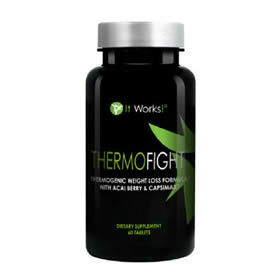 ”It Works Ultimate Thermofit” kick starts your metabolism and gets your body burning calories quickly and efficiently. By using Capsimax – a compound we found in hot peppers – Ultimate Thermofit releases natural energy within the body, infused with raspberry ketones and acai berry extract to accelerate the metabolic process. The product jump starts your body’s lipolysis process, ramping up themogenesis and breaking down stored fat. Ultimate Thermofit does away with the disadvantage that a slow metabolism gives you, and primes your body to perform at its peak. Don’t work harder to lose weight – work smarter. We know that your time is valuable. Time is money, and it can be hard to schedule a diet that covers all the necessary nutrients for your body to perform as well as it should. That’s why we’ve developed “It Works It’s Vital Complete”. The clue is in the name. It’s Vital Complete contains a carefully produced formula of essential enzymes, vitamins and minerals, designed specifically to be easily absorbed by your body. This is a comprehensive solution; five tablets to be taken every day to give a huge boost to nutrition. Primarily made from naturally occurring plant sources,This is one of the “It Works products” designed to provide every major system in your body with the raw materials it needs to function and excel. The tablets release slowly over time, so instead of a rapid boost and decline, the product works steadily from one to the next, providing nutritional balance throughout the day. It couldn’t be simpler! The cornerstones of your healthy lifestyle goals should be comprehensive, quality nutrition, with a positive, can-do mindset. Without this, diets and workouts will only do half the job. 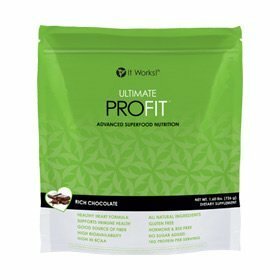 We’ve developed “It Works Ultimate ProFit” to make it as easy as possible to boost your nutrient intake and give your body the foundations it needs to maintain optimum heath. In only 100 calories per serving, and containing a single gram of natural sugar, we’ve managed to blend in the best quality proteins, fibers and antioxidants together with superfoods like maca root and cacao. Ultimate ProFit releases natural energies that boost your mood and your immune system, at the same time as caring your cardiovascular health and promoting the growth of lean muscle. When taken as part of a healthy diet, Ultimate ProFit is a great way to keep the weight off, but keep the energy in, giving you the best of both worlds. Pain prevents us getting the best out of our lives. It can put us off physical activity, stop us going outside, and as we can get older it can even mean we have to give up some of the things we used to love doing. “It Works Relief” is a single supplement designed to combat the physical symptoms that put limits on your activity. If you’re suffering from aching and stiffness in joints and limbs – even if you accept them as part of the normal ageing process – It Works Relief fights against this by kickstarting your body’s natural restorative processes. We combine chondrotin sulfate and glucosamine- both well known for their beneficial effects – with other natural ingredients like turmeric root extract. The resulting single-supplement solution helps your body to fight against the pain of inflammation, as well as boosting cartilage production to encourage flexible joints, and a better range of motion. Your everyday life doesn’t have to become a chore – what a Relief! Not every bacteria you come across is harmful. Some of them just want to help. And more than that – our bodies actually rely on good bacteria to go to work inside us and maintain our digestive health! That’s where “It Works Probiotic” comes in. Featuring five different and distinctive probiotic strains, containing both prebiotics and probiotics, our Probiotic product gives a huge boost to those good bacteria, helping promote production within your body and optimize your digestive health. It works even better when it’s combined with other It Works products from our range, like Cleanse; freshening up the nutritional fuel of organs within your body to restore and maintain a healthy balance of intestinal flora, both in the small and large intestine. With skincare products, you see the difference on you. With products like Probiotic, you feel the difference within you. Build a healthier environment inside yourself, and it’ll show on the outside. These packs of It Works products are your standard packages. This selection of products that our company has combined to provide you with the best results! You will also receive an extra reduced price by purchasing these packs compared to purchasing separate products! You are able to choose from some of our product packs to assist you with your problem regions to enable you to achieve your physical goals! It will be possible to firm your body, tighten your body, and tone your body within 45 minutes! Still Have Questions about It Works Products? Contact Us!